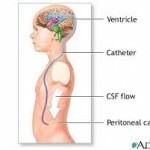 The surgical procedure ventriculoperitoneal shunt (VP) is the process of installing a device in order to reduce the amount of pressure on the brain caused by the build up of fluid around the brain. This process is designed to treat a condition known as hydrocephalus, which is what happens when the brain is exposed to an excess of cerebrospinal fluid (or CSF for short). The fluid inside of the brain is used to deliver nutrients to the brain and filter away waste products. When there is too much fluid inside the brain, the build up becomes harmful to the brain tissue, making it difficult to filter away too all of the waste, which then can be reabsorbed into the brain, damaging the tissue. The abundance of the fluid forms a bottleneck, so regardless of how much waste fluid is removed form the brain, there is always too much fluid and it simply builds up. 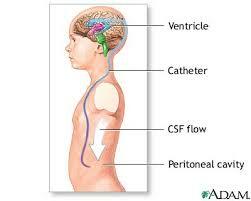 Although VP does relate to the brain, it is one of the safest brain and skull procedures around. There are some risks associated with the surgical procedure, but these are usually minor and do not occur all that often. If there is an issue, it is excessive bleeding, which can cause an infection. Additionally, the individual might suffer reactions from the anesthesia, although this is a problem that might take place for any medical procedure requiring the anesthesia. Outside of this though, there really are no major concerns contributed to the brain and everything that might come up regarding it. The entire procedure takes around 90 minutes or so, during which the individual is left under anesthesia. It is important to discuss any sort of food or drink restrictions with the medical staff ahead of time, so the individual is able to prepare themselves.